Your transaction has been completed and your receipt for yur donation has been e-maild to you. You may log in to your account at www.paypal.com to view details of this. Most people settle for pursuing a career that satisfies our basic human wants and needs; and never really think beyond them to what their life could be about. I gradually came to understand my inner hopes, dreams and deepest desires as being implanted by the Divine. So pursuing Source's purpose for my life was, in fact, also pursuing my own purpose. When it really came down to it, I finally realised that I needed to look within to discover my own purpose; and once I had found out what it was, it then became possible to dedicate myself to fulfilling it. it is time for you to wake-up! It is time for you to start thinking of your life in a different way. It is time for you to fulfil your dream - whatever that may be. That is why you are here on the planet right now. By finding and fulfilling your own unique purpose in life you will be living your life to the full. Join our Evolving circle - Its' Free! Everything in life is about choice. However, ... there is no standing still. You are either spiraling upward, inward, lighter and lighter, or you are sliding backward. Be conscious about your evolvement. It’s so easy… Begin your journey now by joining our evolving circle. I will then send you the free monthly e-zine, EVOLVING. And what will this be all about? 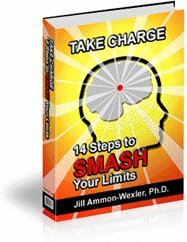 •	You will be kept updated on tools to Recreate Your Life... for example: How to solve your problems creatively and resolving conflict in win-win ways. How to create personal wellbeing. •	How to live your life from love and joy experiencing the success and inner peace which will help you step out and make your life happen the way you want it to... instead of living by default. You know... "life just happens". •	Walk the path of Spiritual growth with all of us...where we share ideas and you can ask questions. 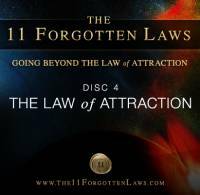 •	There will be much about energy, energy shifts and the empowerment which comes with it...like the Law of Attraction (plus all the other laws around it!) and how to make it work in your everyday life. How to feel better! I hope you will be joining our circle!